This story starts years ago, back when I first began looking into my family history. One of the first documents I ordered from the New York City records archives was the marriage certificate for my great-grandparents Jacob (Jack) Klein and Lillian Herman. My first post here at Cousinist documents the situation. The certificate offered the names of my second great-grandparents, Jack’s parents, Sam Klein and Rebecca Hirsch. It wasn’t until I learned more about Jack’s parents and received his mother’s death certificate until I realized that information was wrong. On Beckie Klein’s death certificate — and it appears she never went by the name “Rebecca” — her father’s name is listed as Wolf Steckler and her mother’s name is listed as Pearl. Also, on the death certificate, her name is spelled Becky, but spelling has always been so fluid that there’s really no problem in just choosing one spelling over the other. So for the last few years, I’ve accepted that Wolf and Pearl Steckler were my 3rd great grandparents and that the likelihood of ever coming across more information was low. With Ancestry.com, I was able to find naturalization records for Samuel Klein, Beckie’s husband. The new information created more questions, and that’s typically the case. Samuel’s petition for naturalization pointed me to his date of arrival in the United States and the ship on which he traveled. I scoured the images of the ship passenger manifest, since the searchable indices on Ancestry.com and the Ellis Island website were not providing me with any results. The family is listed on ship manifests under the surname Goladnik instead of Klein. I’m still not sure if they were traveling under someone else’s names or if the family used the name Goladnik before immigrating to the United States. I haven’t found anything further. Beckie came to the United States under the name Belie Goladnik. Her son (my 2nd great grandfather) Jacob or Jack traveled under the name Seide Goladnik. Traveling with them were two of Beckie’s sisters, Brane and Dobe Klein. I haven’t figured out exactly who these people were, or why their last name was listed as Klein. Because they were listed as Beckie’s sisters, that’s how I entered them into my tree. Beckie’s last name, since she was married when she arrived, should have been listed as Klein instead of Goladnik, and the sisters, if they are Beckie’s sisters, should have been listed as Steckler instead of Klein. It’s all very confusing, but there’s more. When Samuel immigrated to the United States, he traveled under the name Schaje (which I de-Germanized to Shaie for my own record-keeping), and traveled with his brother Moses and his sisters Golde and Gite, and told the officials on departure that they would be meeting Samuel’s other brother, Itzig, in the United States, and even provided an address. I could not find any Itzig (or Isaac or a number of other variations) Klein at that address around that time. That’s another mystery that hasn’t been solved. In November of last year, I received a message from a DNA match on Ancestry.com who indicated that she just learned that her great-grandmother was Celia Steckler. She asked if there was a possible connection to Beckie Steckler. So I went digging into all the information I could find about Stecklers living in New York City after the turn of the 20th century. I haven’t connected Celia to Beckie’s parents from Kamyanets Podilskyy, Wolf and Pearl Steckler. Celia seems to come from Austria, not Poland or Russia. But I did find more likely children of Wolf and Pearl. Another message came to me thanks to Ancestry.com’s DNA matching system. That led me to the name Ethel Steckler. The contact had some information about Ethel’s siblings, and mentioned Ethel’s father’s name was Wolf. 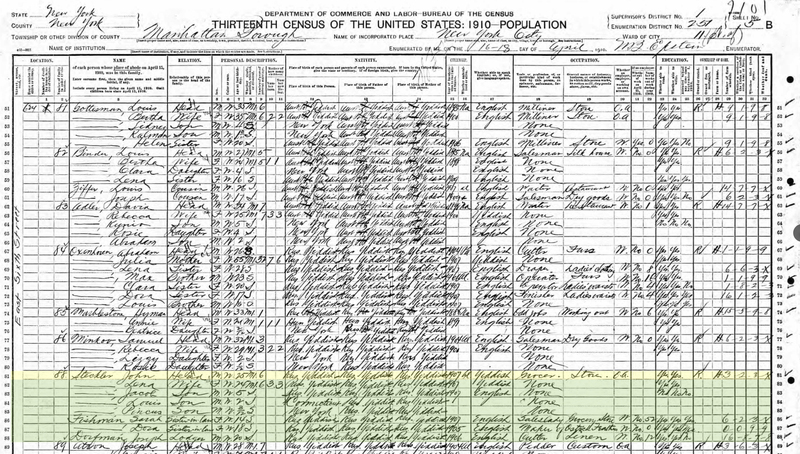 I easily found Ethel and her siblings in a census record, and digging further I found that Ethel’s father was usually known as Jacob. But this Jacob had to have been Beckie’s brother. Jacob’s headstone confirmed another name of his (Yonah) that matches a ship manifest where he’s listed as Jojne Steckl, and it also confirmed that his father was Wolf Steckler. Jacob and Beckie, two Steckler siblings, each gave their children nearly the same names. Jacob (or Jack) Klein, Beckie Steckler Klein’s son, was born in 1905; Jacob (or Joseph) Steckler, Jacob Steckler’s son, was born in 1906. Philip Klein was born in 1907; Philip Steckler was born about 1910. Julius J. Klein was born in 1910; Julius (Jack) Steckler was born about 1912. Samuel and Beckie Klein also had a daughter named Mollie, while Jacob and Lena Steckler also had daughters named Ethel and Ruth and a son named Louis. 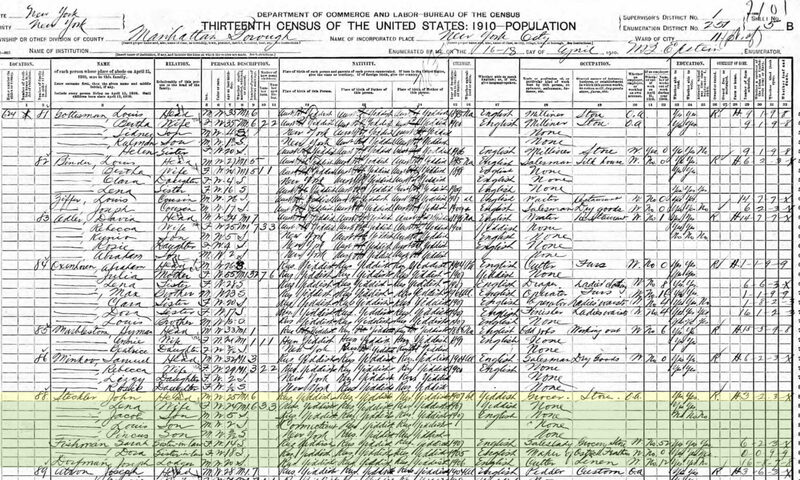 According to the 1910 United Status Census, Samuel and Beckie had two other children who did not survive by 1910. Thus, Jacob Steckler was the first sibling of Beckie’s I was able to connect. As I continued to research the Stecklers, I found another child of Wolf of Pearl, Sarah Steckler. She married Isidore Klein, though Isidore Klein does not have the same parents as Shaie Samuel Klein. There’s no guarantee they’re related, but they’re definitely not brothers, at least according to the information I’ve found so far. After adding Isidore Klein, Sarah Steckler Klein, and their family to my “ongoing research” tree, I was contacted by yet another DNA match, a descendant of Isidore and Sarah. 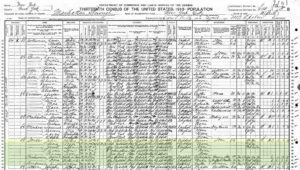 On both Ancestry.com and FamilySearch, where I would expect to find indexed records about the Steckler family, the indices seem to have many variations of the name. I’ve seen Stecklars and Shtekalis, in addition to a number of other spellings. Creative searching has helped uncover likely records, and when I am able to view the actual documents instead of a text index online, I may be able to pull even more information. Thanks to the deeper searches online and information from cousins with whom I’ve recently connected, I’ve added names for dozens of “new” cousins whose common ancestor is Wolf Steckler. In the last month, I’ve ordered copies of more documents from the New York City archives which should provide further confirmation of the relationships. That’s one of the next steps for learning more about these cousins. I’ll also stay in touch with each of the researchers. I haven’t yet added the discovered siblings of Beckie Steckler Klein into my main documented family tree. After I receive a few documents in the mail that confirm what I’m seeing online and possibly after seeing some more headstones, I’m going to officially add these cousins to my family tree. This experience over the past few months have shown me that the autosomal DNA matching services can be worthwhile. Almost all other times I’ve connected with a potential cousin, we’ve been unable to find a path. I have thousands of matches that should be close enough for us to trace a common ancestor within the number of generations I’ve been able to uncover, but this has been my first success story. This is great info. I truely. Love learning more about the family. I’m going to forward this to my mom and get her reaction.